Thanks for the information. That replica of the DS, is something I would really like to see. I hope they do show more on that booth. It would be a crime to not illegally record the new footage and post it on the internetz. Is that a post-eclipse scene? or is it when Guts and SK first meet? but then Guts should be fully clothed if that were the case.. It's when they first meet, like I said. And yeah, he should be wearing clothes. Add that to the list of inaccuracies we've been pointing out ever since the very first footage was shown. I noticed that, as well. Maybe they haven't added the 3D clothing yet. Only the Griffith flashback screen looks good. Of course, it's been up on the official youtube channel for a month now. Yeah, and it barely has 6,000 views. Meanwhile, DirectDK's uploads of the trailer have a combined 200,000. To make their first encounter more intimate. Dragon Killer? Why call it that if you're going to stay true to the manga. It also looks a bit short considering it's not bigger than the random guy walking by haha! Looks more like the Dragon Scratcher to me. They could do a little bit of research... Yeah, it means the same thing, but why not google "Guts' sword" before you print that up...? I have some important questions. I hope that the changes that are present in trailer just a show and not the final form of the main producer of films . In the movies or not? Are all films in 2012 or not? the duration of each film less than two hours or not? Will the events of Black Sword Man in the series or ova? Will there be parts of the manga series tells the story of the other after the Black Sword Man? I am very sorry to my Language bad Because I am from the Arab world and dont has perfected the English language . Probably not. Maybe intervals of 1 year or more. It will all depend on the success of the first movies, and the amount of adult content they are willing to show. Not a problem. Though you should read a little more on the forum before asking such questions. All of them have been discussed before. 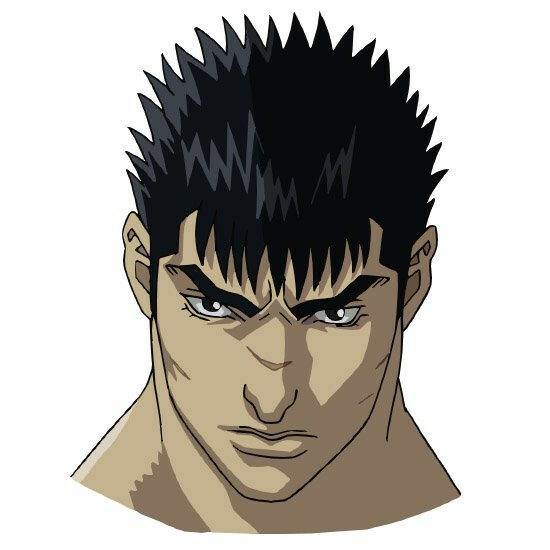 A Berserk facebook page posted these head shots, from a site called from JPOPASIA.COM. The news came about 3 days ago, I didn't see anyone else post the pictures so I thought I would give it a shot. Funny how most anime tend to westernize characters, and how these ones, that should look western, look more asian. My thoughts exactly. I've been thinking this since the first berserk movie trailers were released, their eyes in particular. Those headshots are interesting. Different than what I'm used to, but not necessarily bad. You can definitely see similarities between these character designs and the one the guy did for the Gantz anime. As far as anime character designs go, they don't look that bad. 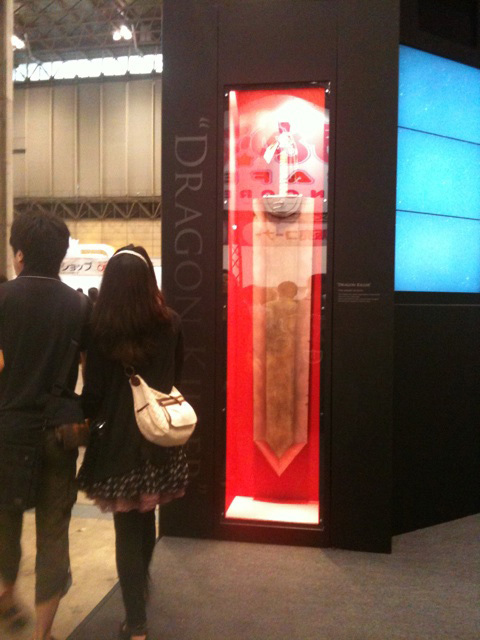 After looking at the 'Dragon Killer' picture from the convention some more, I think the size of it in comparison to those people might be deceptive. The guy and girl aren't right next to it, but are several feet closer to the camera. Might just be a perspective thing. Anyway, I hope we get some more pictures from the event. Hopefully they'll release some of the video footage they show there. One note on the color treatment of those headshot. While the colors really pop unlike the previous anime, anyone else notice how Casca seems to look much more Caucasian than in any of Miura's depictions? 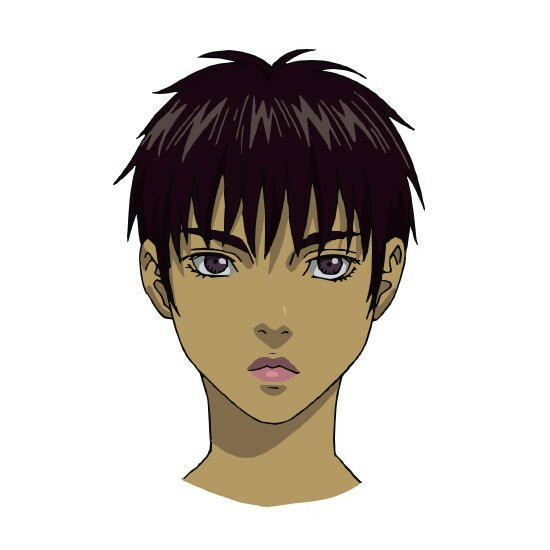 She's a tad bit tanner than Guts or Griffith in this new anime, but I've always seen her portrayed as nearly Kushan in skin color. Speaking of which, has Miura ever commented on his intention for this? No character has ever mistaken her for Kushan, so I doubt that's what it is. At first look, I was a bit taken back. But the more I look at it, the more I'm cool with it. Yeah, the faces have a bit more of that modern anime look, but I don't think they look generic. 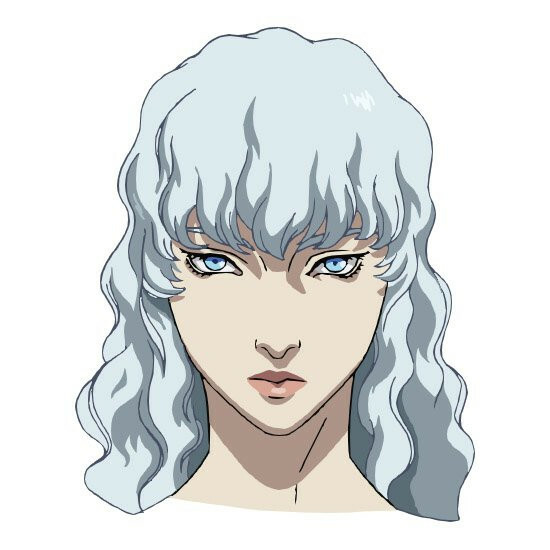 Griffith's eyes are quite intense in that picture. I do hope his eyes don't ALWAYS look like that though, cuz that won't fit his persona. Anyways, I guess no news of that footage that was shown on the 9 screens. Sadly, that probably means it wasn't new footage, but just the trailer =(. DRAT. I really wanted new footage!